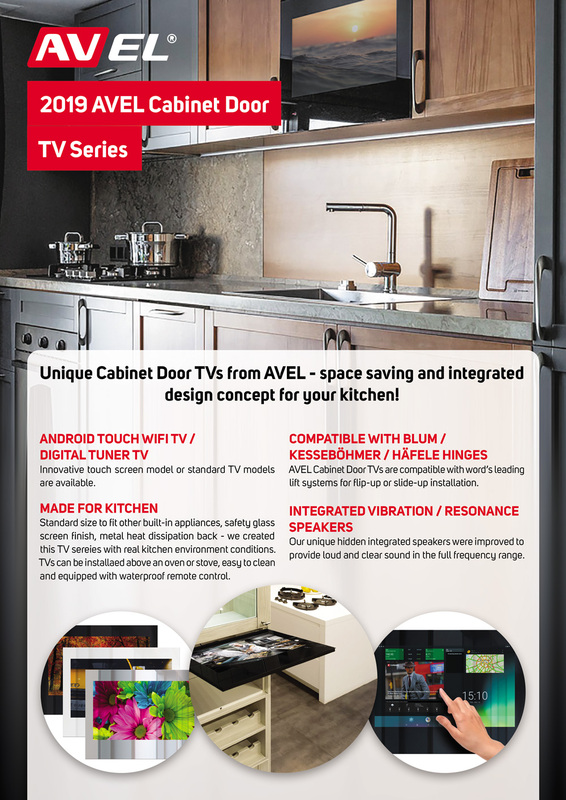 Android Touch TV AVS220KT is suitable for installation in any standard 600 mm wide cabinet. It comes with safety tempered glass front and framed by a black frame. Cabinet Door TV will fit perfectly into the interior of your kitchen.